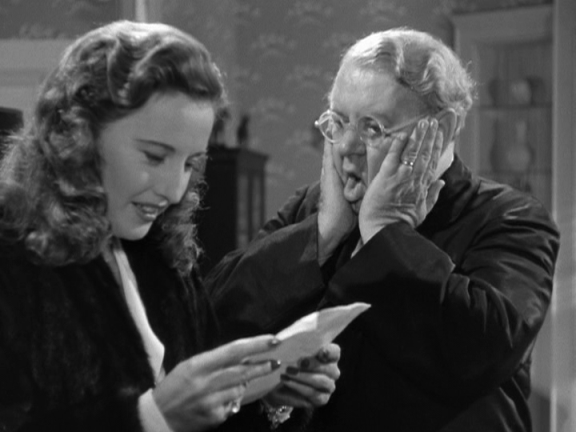 Between Remember the Night and Christmas in Connecticut, it just wouldn’t be Christmas for me anymore without Barbara Stanwyck. 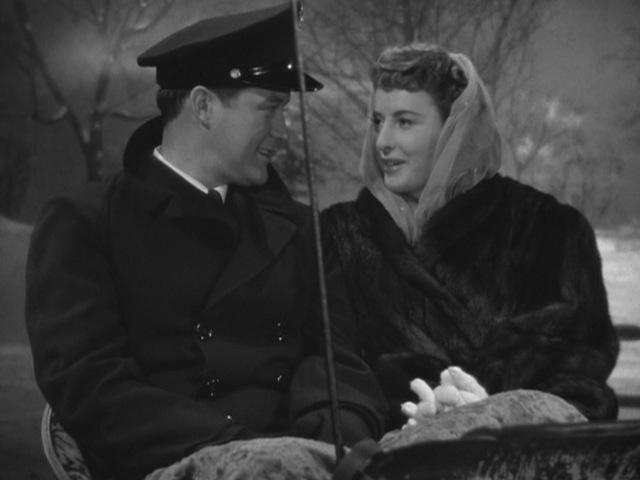 Dennis Morgan was handsome and dreamy in his uniform, plus he had the most beautiful singing voice. I would’ve fallen for him like a ton of bricks, too. 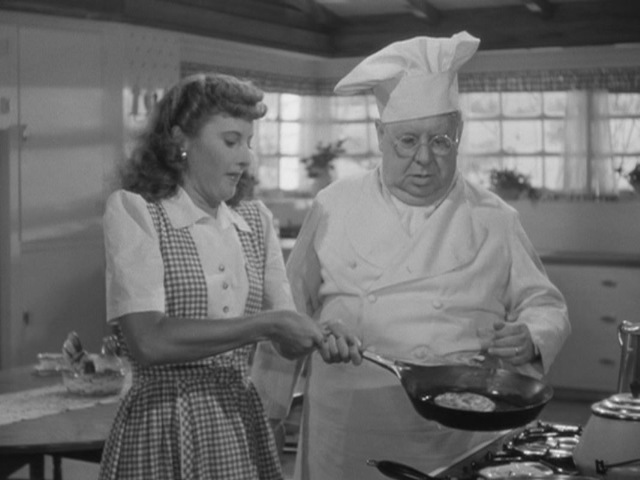 Stanwyck’s attempts at homemaker perfection are hilarious. 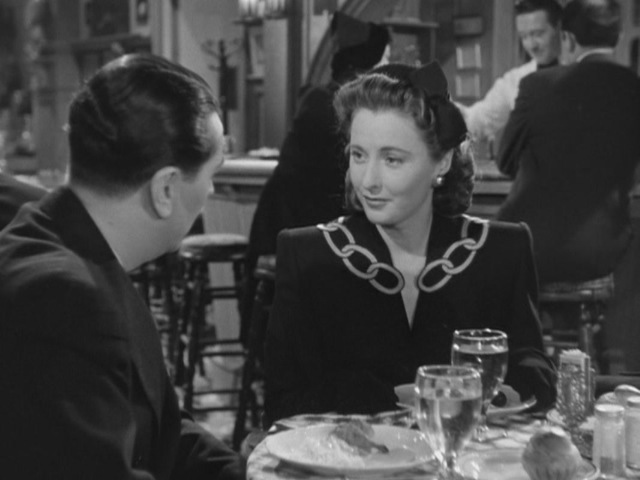 You could probably discuss this movie in terms of the end of the war, women being forced out of the working world as men returned from overseas, and the coming feminine housewife ideal of the 1950s, if you were so inclined. I highly recommend seeing the movie if you haven’t already. It streams for free on Amazon Prime and will air on TCM this Friday night. Errol Flynn was beautiful. How is it that men were dashing with thin mustaches then — Gable, Flynn, Niven, Powell — but would look bizarre with them today? And why oh why did we let dressing up, supper clubs, and dancing cheek-to-cheek disappear? There’s no romance in the world anymore. 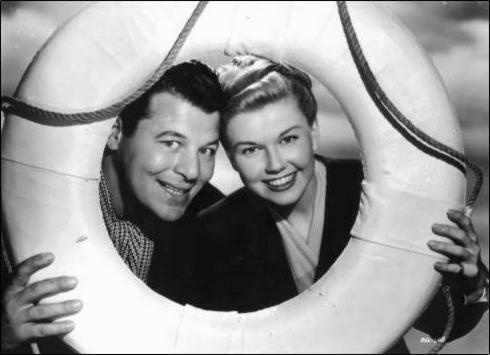 I don’t see any upcoming airings of Never Say Goodbye on the TCM schedule, but the movie is available from the Warner Archive. Pretty Baby stars Betsy Drake as Patsy Douglas, an ambitious girl who runs the mimeograph machine at an advertising agency. After mornings spent trying in vain to get a seat on the subway, she passes her days cranking out copies of soap opera scripts while daydreaming of becoming a copywriter. 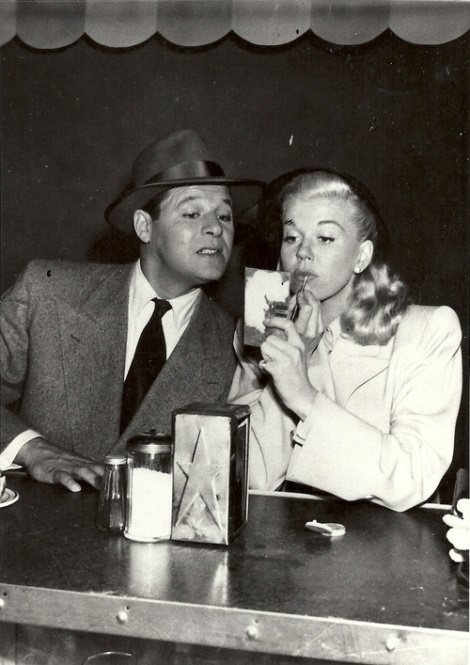 She also daydreams about her boss, Sam Morley (Dennis Morgan), on whom she has a crush. 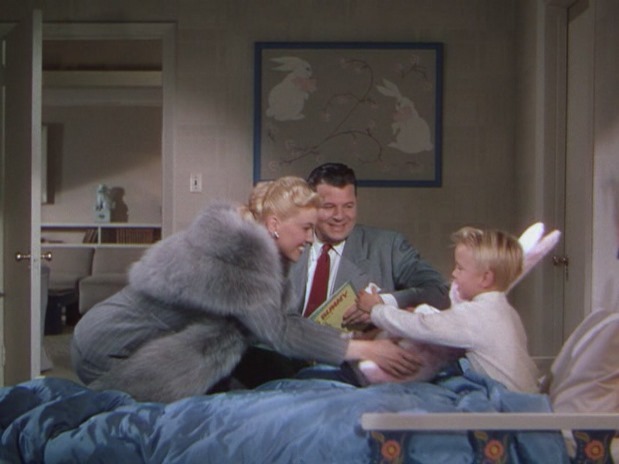 When the agency loses its biggest account, Baxter’s Baby Food, Patsy takes a baby doll (nicknamed Cyrus, after Mr. Baxter) from the disassembled display in the agency’s lobby, wraps it in a blanket, and uses it to get a seat on the subway. Men may not give up their seats for all ladies, but they do give them up for mothers carrying babies! 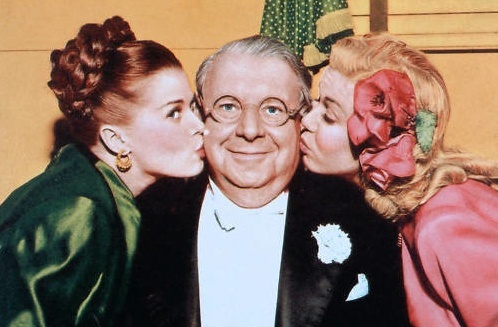 One evening Patsy sits next to a grumpy old man (Edmund Gwenn), telling him that her baby is Cyrus Baxter Douglas, and that he’s named after the wonderful man who runs Baxter’s Baby Food. Unbeknownst to her, the old man whose leg she is pulling is Mr. Cyrus Baxter himself. Mr. Baxter is so touched that this young woman has named her baby after him that he determines to help her and her child however he can. 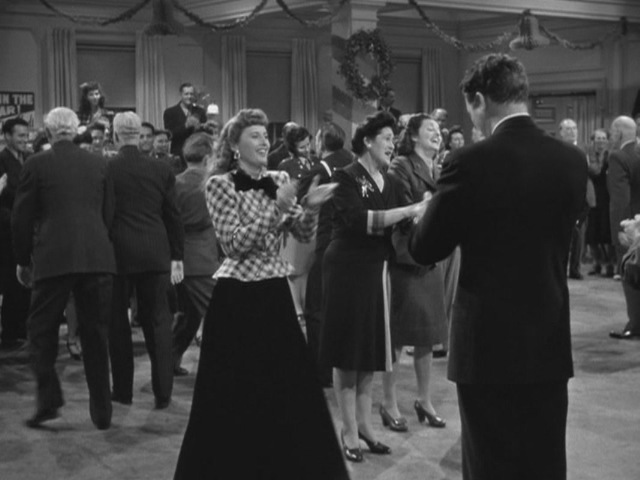 He gets her a promotion at work, which her bosses at the agency go along with only because they think Patsy has a relationship with Mr. Baxter that will help them win back his business. The rest is a round of predictably wacky misunderstandings. 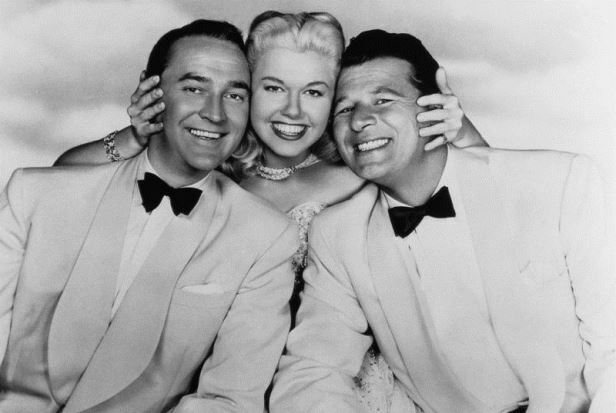 All three men think Patsy is an unwed mother. Mr. Baxter suspects one of the bosses of being the baby’s father. Patsy has to hide the doll from Mr. Baxter every time he unexpectedly drops by, for fear of letting him know the truth of her deception. Her bosses don’t want her to ruin their chances to win back the account, after all. 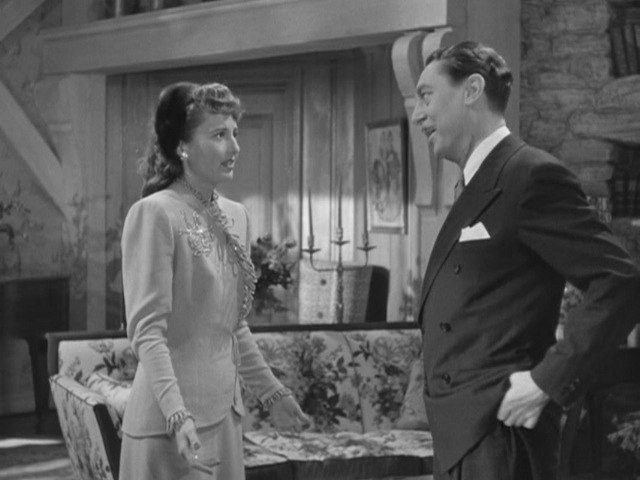 Besides, Patsy doesn’t want to hurt Baxter, whose tough shell has been cracked by his affection for Patsy and the fake baby he’s never even seen. Meanwhile, Patsy shows no talent for copywriting (her jingles are awful), but she does inspire Mr. Morley to be true to himself creatively. Of course he falls in love with her. 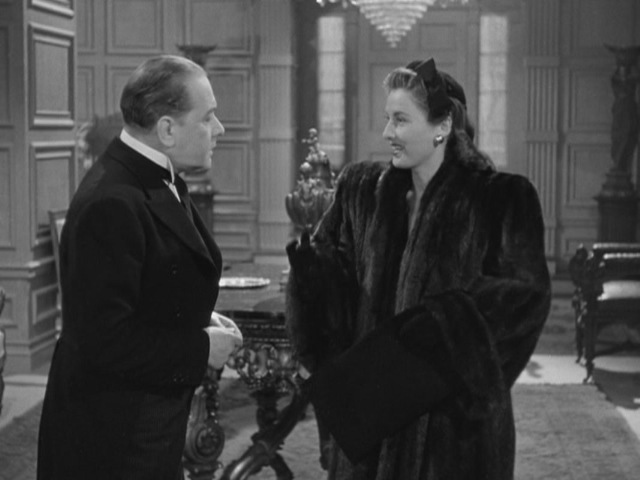 Betsy Drake is cute, Edmund Gwenn is hilarious and touching, and even Dennis Morgan, who normally doesn’t do much for me, is lots of fun. At one point he sings “Pretty Baby” to Drake through a transom window, which is utterly goofy. He had a lovely voice, though! 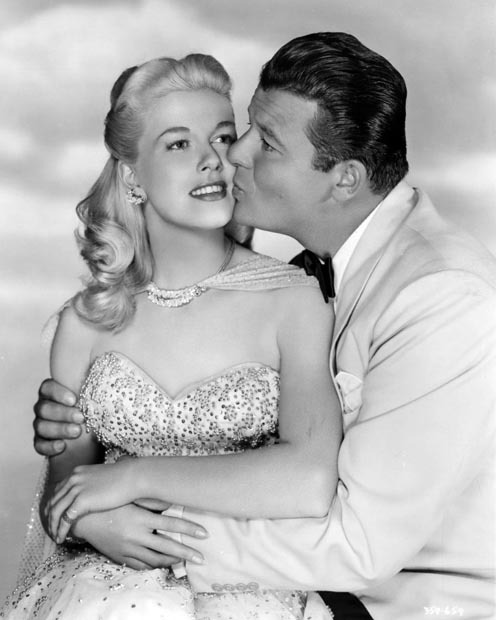 Barbara Billingsley and William Frawley have small parts in the movie, a few years before they’d become famous on TV as June Cleaver and Fred Mertz. Pretty Baby is a completely pleasant, silly, amusing diversion — sort of Every Girl Should be Married meets Bachelor Mother. Well, maybe Bundle of Joy more than Bachelor Mother, quality-wise. If you’re in the mood for something heartwarming, fun, and not too much of a strain on the brain, this is it. 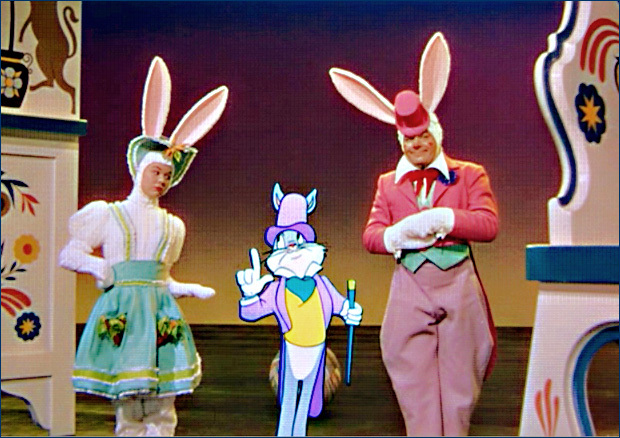 TCM airs it sometimes, and it’s also available from the Warner Archive.